Being a realtor is more to me than just a profession…. It’s a true calling! Anyone who has seen me in action knows my enthusiasm, boundless energy, professionalism and integrity… in every transaction, every relationship. Nothing satisfies me more than seeing the happiness that comes with a successful sale or purchase of a lifetime, and I have the in-depth experience and local area knowledge to make it happen. For my sellers, I deliver maximum exposure for their homes via the internet, print, direct mail and agent networking and maximum availability for showings. My proven marketing plan gives homeowners the opportunity to get the maximum value for their properties. For my buyers, I am patient, knowledgeable, accessible and dedicated to finding them the home that matches their needs, preferences and goals. My diligence includes previewing properties so I don’t waste my clients’ time showing them homes that aren’t a good match. Whether representing buyers or sellers, I offer expert negotiating skills, hands-on management of the entire process and unparalleled client service. Just a little background…. Although I started my real estate career only after my son went to Middle School, I dove right in. Fortunately, everything I did before – interior design, marketing, account service and new business development – helped me get on the fast track very quickly and became the building blocks for the rewarding and fulfilling life I lead now. I grew up and spent most of my time in New York, emigrating to Los Angeles in 1990. My family and I settled in Upper Bel Air before moving to Encino in 1994 for the more family-friendly lifestyle of the San Fernando Valley. After 21 years, I sold my home in Encino and I now live in Sherman Oaks. I earned my real estate license in 2001, starting at Fred Sands in Tarzana, where my current Manager and mentor, Cary Hoffman, was the Assistant Manager. 3 months later, Coldwell Banker took over Fred Sands and I moved to their Encino office. In 2009, I joined Rodeo Realty – recruited by the brilliant but approachable Syd Leibovitch, who runs one of the largest independent real estate companies in the nation yet commemorates my every birthday and life event. I’m truly happy…. I love what I do…. And I do it well! If you are looking to buy or sell a home, allow me to use my capabilities and the extensive resources of Rodeo Realty to produce your desired results and enable you to fulfill your real estate dreams. Please call or e-mail me today! 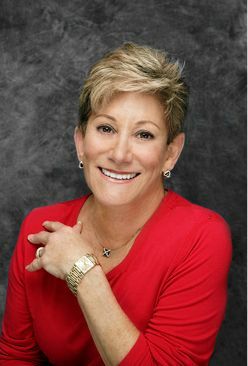 You’ll be happy you chose Patricia Phillips as your preferred real estate resource for Encino, Sherman Oaks, Studio City, Valley Village, Tarzana, Woodland Hills, Lake Balboa, Hollywood Hills, Bel Air, West Hollywood and many other communities in the San Fernando Valley.